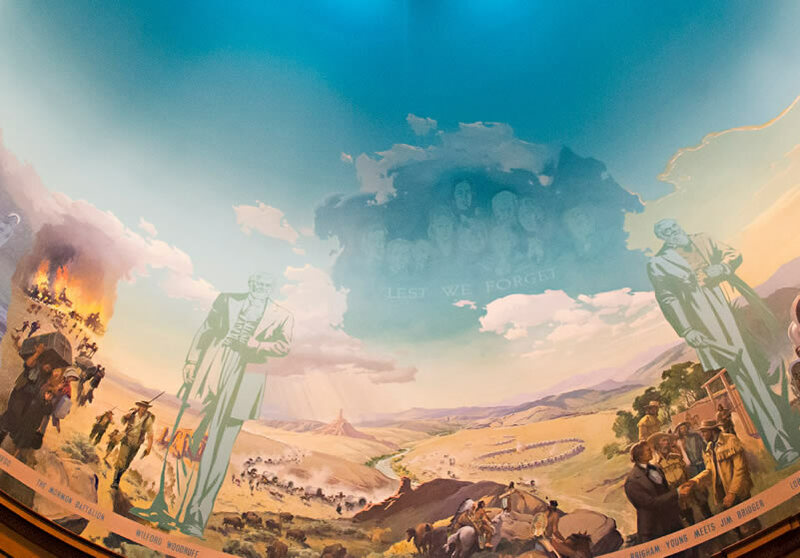 The Historic Cody Mural and Museum in Cody, WY., offers a powerful glimpse into the western expansion of Mormon pioneers in the late 1800s. During your free tour, you will experience the awe-inspiring, one-of-a-kind mural painted by renowned artist Edward T. Grigware. Stretching high overhead in the Visitor’s Center rotunda, the work exemplifies the highest levels of artistic technique while sharing a remarkable, true-to-life story of faith, hard work and sacrifice. 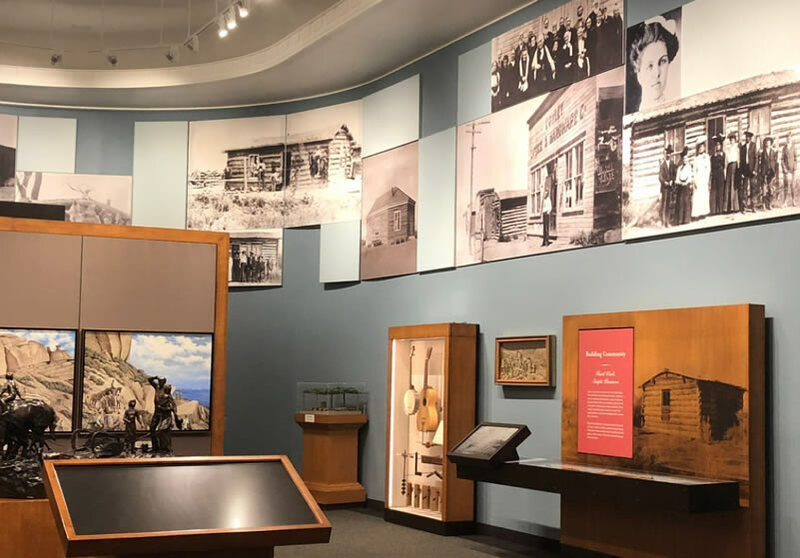 In our museum, you will also see items used by Mormon pioneers more than 100 years ago as they settled Wyoming’s rugged Big Horn Basin. If you have any questions or would like more information about our free tours, please contact us. 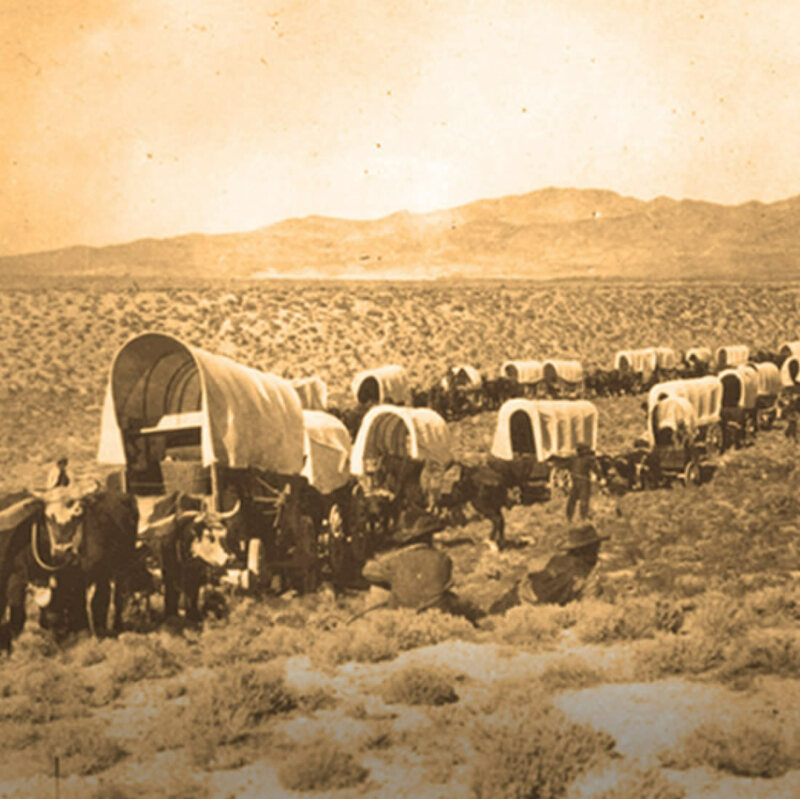 Why did the pioneers colonize the Big Horn Basin and how was Buffalo Bill Cody involved? Read More. The Chicago Tribune called his work “virile, colorful, magnificent.” Who was mural artist Edward T. Grigware? 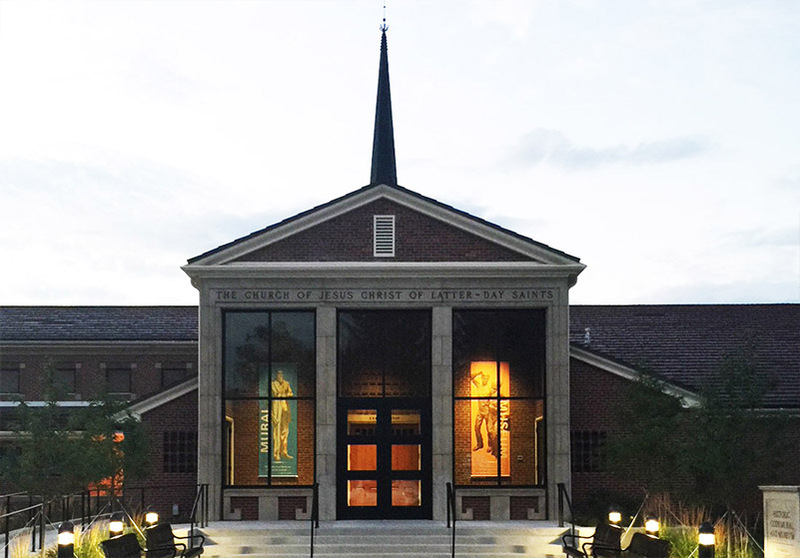 What is the Cody Chapel and why was it built? Read More.